In today's music social networking world, the lines have become blurry as to which sites will actually be providing viable tools for musicians to promote their work, and sites that are just posting content provided by partnered music labels and media outlets. As many Internet music start-ups have come to find out recently, there is a shrinking margin of active and unique visitors compared with a fast growing presence of new music social networks clamoring for content. Out of all these new sites to appear, there are a hand full of them that have staked real claim in the musician/fan pool. One of these major players is the social media service, imeem. So what is imeem and which category would it fall under, useful tool or media faucet? I am inclined to say both. Imeem is a social media service where users interact with each other by watching, posting, and sharing content of all digital media types. Users can create, recommend and discover music, video, art, and pop culture media and connect with other users who have similar interest. As this is the main goal of most all music social networks today, it takes an easy to use, visually pleasing, feature rich platform to even compete with the main players of this game. Imeem has done a more than exceptional job of creating a powerful, functional, and attractive platform for their users. So the tools are there but does the potential exposure from the tools get dwarfed by the large media faucet which seems to be turned to full blast. I believe it does. 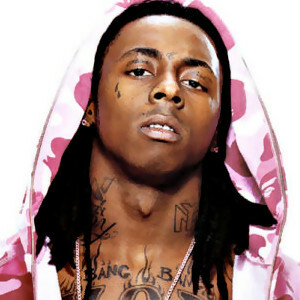 The only artists that seem to get featured are the ones that the major record labels have chosen to be featured such as Lil Wayne and other artists like Rhianna and Linkin Park. An upsetting reality about this is that the profiles of these popular musicians are not even set up or maintained by the artist. Its is simply content transferred by the major record labels built into musician profiles. This means that any artist who builds a profile and tries to put themselves out there really has little chance of gaining any exposure from imeem over the pre prescribed spotlights, features, and the shell music accounts that occupy them. Launched in October 2004, imeem has gone through many changes and has quickly advanced as one of the major music social networking sites today. Claiming that they have 25 million visitors a month and 65,000 new users every day, it would seem that the sky is the limit. That is simply not the case. 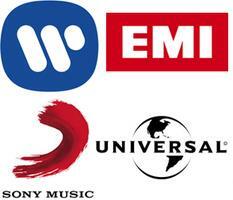 After partnering with the four major record labels Vivendi Universal,Sony BMG, EMI, and Warner Music Group, as well as hundreds of other indie record labels, their music catalog shot through the roof. But with so much licenced content comes a percentage of payout to the rights holders. With their ad revenue platform and VIP subscriptions being their only monitization strategies, they simply cant keep up with the large payouts to the labels and expenses that occur from running a large business. On October 22, 2008, imeem laid off 25% of its staff. As troubles continued into 2009, investor Warner Music Group wrote down its entire 15 million dollar investment in imeem and declined a new round of funding. A very serious blow for such a company. Tech Crunch, a blog for reviewing Internet products and companies, wrote a great article which you can find here, reporting on the current state of imeem today. Something needs to change for imeem as far as their monetization plan and payouts to current labels go. If these issues are not addressed soon, I feel that imeem will be circling the drain very soon and join the murky waters where the rest of the failed music social networks lay.